Your company discovers a cyber security breach… Now what? In the face of a cyber incident, taking immediate action and following the correct notification procedure, could significantly reduce a potential loss. This webinar provides education on the appropriate incident response procedure, along with some key case study examples. What is covered under Cyber Protection? When should a cyber incident be notified? Who should be notified of a cyber incident? What information is required when you notify a cyber incident? 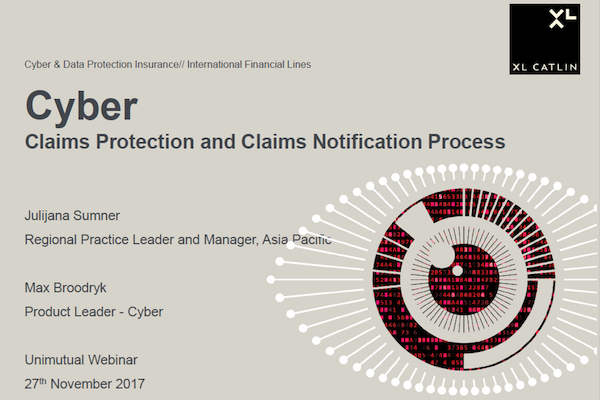 What process will occur after a cyber incident is notified? To be kept informed of future webinars, breaking news and pressing risk issues which may affect you, follow us on LinkedIn.